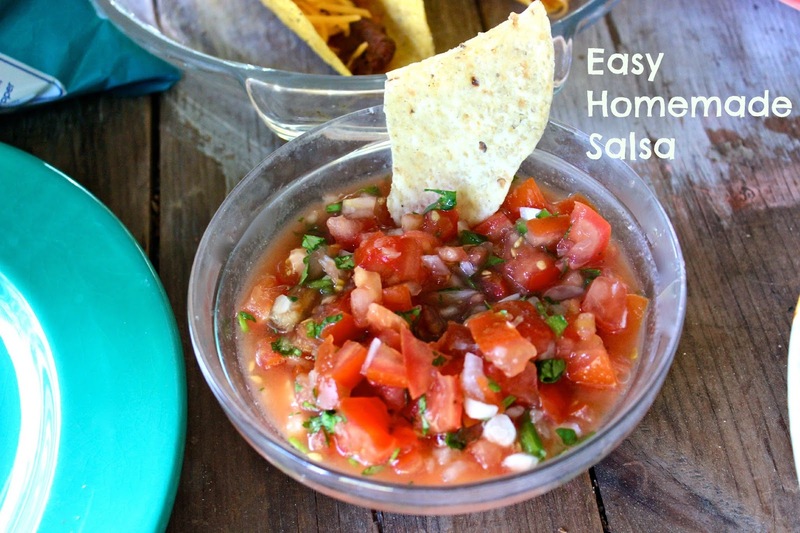 I've always wanted to make homemade salsa, it even made the infamous Before I'm 40 Bucket List. This week's Pinterest Poser Challenge* is to find out if I can not screw up the fantastic recipe I found for homemade salsa. I'm happy to report, I did not screw it up. It turned out quite nicely. After you have chopped and diced, simply throw it all in a bowl and stir. Use as little or as much salt as you want. "Boosh!" That's what JT says after he does anything he is particularly proud of--making the basket, scoring a goal in the backyard soccer game, finishing a chapter in his book. So I'm stealing it for my salsa victory. If you let it sit for a bit before serving, the salsa gets a little juicer. Wait or serve it right away, it tastes great. And it looks so pretty and fresh. It's the perfect thing to take to the neighborhood barbecue or the graduation party. I made a small batch the other day just for myself to have as a mid afternoon snack---Boosh! 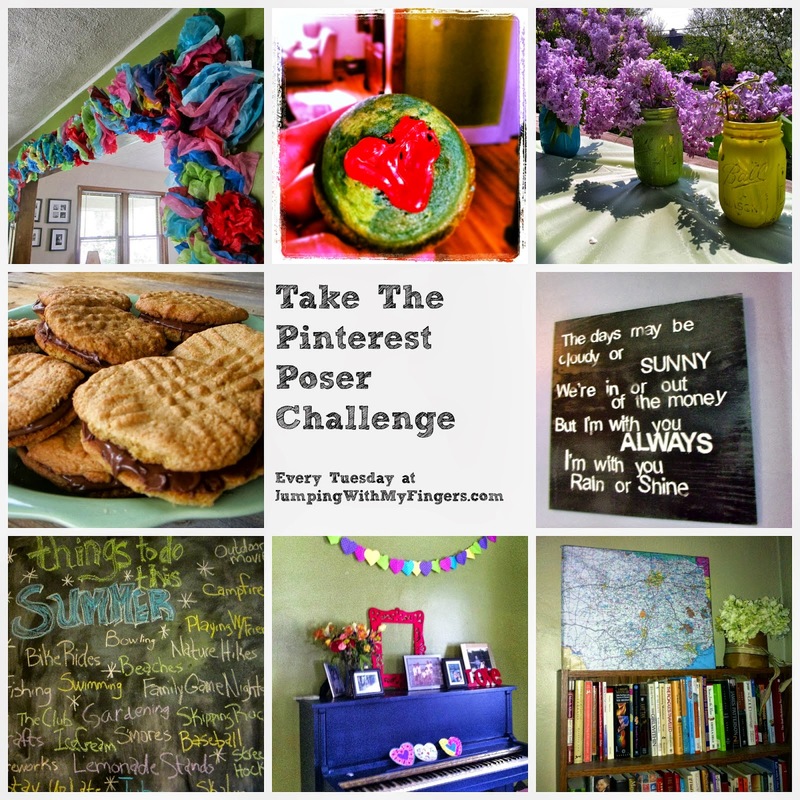 Have you made anything inspired by Pinterest lately?Share it here or on my Facebook page. I love simple and delicious recipes!